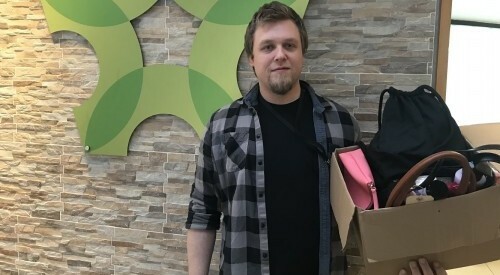 A huge thank you goes to the Parish Family of SS John Fisher and Thomas More Parish, Burley-in-Wharfedale, who had the novel idea of filling used handbags with toiletries, ladies products and men’s personal hygiene and shaving necessities for those in need. 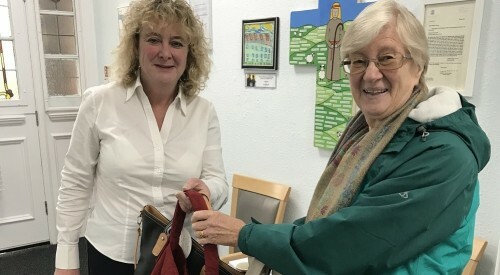 Six bags have been given to Sheila Pickles from St Monica’s Housing to give to the destitute asylum seeking women in the House in Beeston, four bags have been retained for the new house in Harehills for the destitute asylum seeking women who will be housed there. Carol Hill (Director of Catholic Care) made the final delivery of the remaining bags to St George’s Crypt to support homeless men and women. Martin Patterson (Development Director at St George’s Crypt) said people often forget about specific ladies toiletries and the bags were very welcome. He thanked all those who had donated.